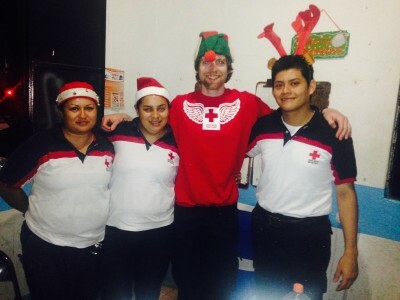 I have recently returned from a 5 week paramedic work experience placement with the Red Cross in Puerto Vallarta, Mexico. I am applying to train to be a paramedic in the UK so I was looking to increase my general medical knowledge and learn more about the skills required to be a paramedic. Puerto Vallarta is a coastal town popular with tourists, it is the second largest city in the state of Jalisco. The Red Cross are the primary ambulance service in the city which means the variety and scope of experience I gained here was excellent. On arrival into Puerto Vallarta, Jorge, my host, picked me up from the airport and took me to his house where I would be living for the next 5 weeks. He also gave me a tour of the local area and showed me the Red Cross clinic, only a short walk from his house. I was primarily working alongside the paramedics in the ambulances however I did spend substantial time in the clinic assisting the doctors and nurses. They were very flexible in terms of the hours and days that you decide to work. In order to gain the most out of the experience I worked 6 days per week and shifts ranged from 10-24 hours including days and nights. The staff were extremely welcoming and friendly. Despite not having any previous medical qualifications and only basic Spanish I was astonished by the level of responsibility and involvement I was given from day one. Every emergency call-out I had a very hands-on role assisting the paramedics. This included escorting the patients, measuring heart rate, blood pressure, blood sugar levels, administering oxygen and providing reassurance. I also received training on how to insert cannulas. Many of the more minor emergency call outs/ duties included slips and trips, patients with low blood sugar levels, minor cuts, patient transfer duties and a very fun night providing onsite medical cover at a music festival. 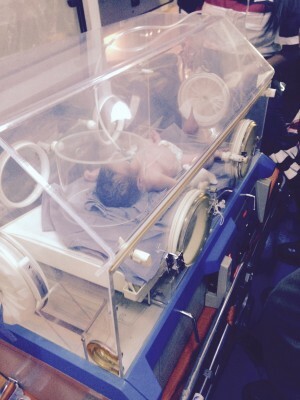 One of the most interesting was the transfer of a prematurely born baby which was a very delicate and intricate operation. 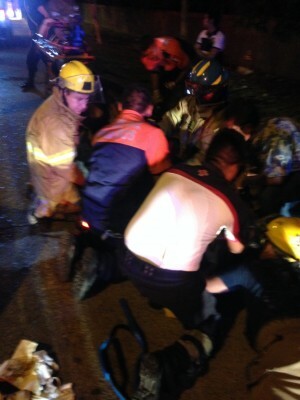 More major incidents included car/ motorcycle accidents, trauma, shootings, seizures, heart attacks and drug overdoses. Due to the variety of both patients and incidences there were many different places patients had to be taken for treatment. Those with more minor injuries or without medical insurance were treated at the Red Cross clinic. Others were taken to the public or private hospitals across the city. This provided an excellent opportunity for me to observe the working relationships between paramedics, patients and other healthcare professionals. It was fascinating to see first-hand the scope and processes involved in the role of a paramedic in addition to simply providing medical care. Whether it was communication skills with the patients, accurate recording of details and events, maintaining patient confidentiality and dignity, providing reassurance to family members or liaising with other emergency services. On occasions where the patients were American or English tourists who could not speak Spanish, I helped provide instruction and support which was excellent experience in preparation for my future career as a paramedic. The placement also provided a good insight into the reality of the role. Most notably the largest number of incidents were relatively minor with communication and support being the most vital skill. The fact that one day can be completely different to the next with some days or certain times of the week being very busy and others quieter. It can also expose you to critical situations where you need to act quickly and calmly, which can be mentally challenging but an essential element of emergency medical care. I found this an extremely rewarding part of the experience. 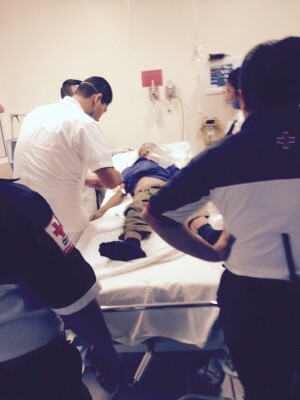 I would highly recommend a paramedic placement in Mexico! It certainly provides an opportunity to gain experience and responsibility much more quickly with little previous training than is possible in the UK. In terms of advice I would give would be that you only get out what you put it. Much of the training I received was through asking to be shown how to perform certain processes. Simply try to get involved and help out in any way you can. This will very much be welcomed and will hugely increase the amount you gain from the experience. If you can’t speak Spanish this is not an issue but the more you know the better. Try to learn as much as possible before you go. 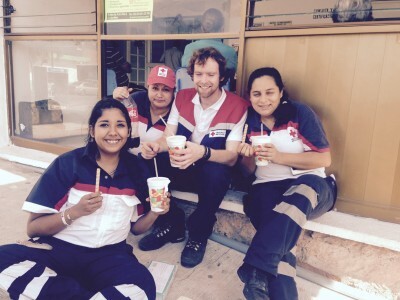 The Mexican people are extremely friendly and welcoming, I made many good friends and had great fun working with the paramedics despite my very basic level of Spanish. As I was there over the whole Christmas period I worked the night shift on Christmas Eve which involved a surprise visit to one of the paramedic’s family homes at midnight where I was welcomed in and treated to a full meal with the family! On one of my days off they invited me to a BBQ and a few drinks on the beach which was a very enjoyable day. This experience was a great way to learn about all the different elements of the role and has only increased my enthusiasm for a career as a Paramedic. I would highly recommend this to anyone who is considering or currently undertaking a career in emergency medical care. In July I travelled to India to carry out my month long medical elective in Trivandrum, Kerala. During my stay, I was based in the Global Medical Projects house and worked in various hospitals around the district. The house was nice and comfortable and accommodated up to 12 other students. It was located away from the busy main roads which provided the house with a relaxed, quiet atmosphere to return home to after a long day of placement. In the house there were two main housekeepers that cooked and cleaned for us every day and the elective director, Babu, who was always around to help with any queries or questions I would have. They were all really friendly and helped the house feel like a home very quickly. The front courtyard was secured by a large gate which made the house feel extra safe. Each bedroom was spacious and most importantly had a fan which helped us keep cool in the sweltering Indian heat. The house also had wifi which helped us keep in contact with friends and family. During the weekdays I spent most of my time in one of three medical institutions; St Joseph’s Hospital, Sree Gokulam Medical College and Shneha hospital and during the weekends I would have free time to travel and experience other parts of India. During my elective I rotated through a number of specialities as the staff were very flexible and accommodating. I spent time in many specialities including orthopaedics, cardiology, haematology, gastroenterology, neurology, ophthalmology, obstetrics and gynaecology, paediatrics, geriatrics and palliative care. This gave me the opportunity to experience as many specialties as possible and therefore work with, speak to and learn from as many doctors and nurses as possible. There were also many Indian medical students around who were friendly and easy to talk to. In addition to the common conditions seen worldwide, I saw many interesting cases that I would not normally have had the opportunity of seeing in England. I saw patients with leprosy, tuberculosis and HIV and learned how these patients are diagnosed, investigated and managed in India. When seeing these patients, I also gained a better understanding of the stigma and social factors surrounding HIV and leprosy in India which was interesting to compare with what I had seen and experienced during my previous four years as a medical student in the UK. My time on placement was a once in a lifetime experience as I saw and learnt a lot. Each of the hospitals I worked in offered a different unique learning experience. The Sneha hospital was a primary health care clinic so dealt with patients with minor illnesses and injuries. Here the most common things I saw were patients who had been in road traffic accidents or had non-specific coughs, aches or pains, similar to what is seen in a normal GP practice in England. Sometimes these patients would need to be referred to a bigger, more equipped hospital for more specific investigations and treatment options. Gokulam Medical College and St Joseph’s Hospital were larger hospitals that took care of these patients and it was in these hospitals where I spent most of my time in surgery, inpatients departments or outpatient’s clinics. During the weekends, I travelled with the other students and volunteers to various cities and towns around southern India. The weekend trips were a chance to relax and enjoy as much of India as possible with my new friends. 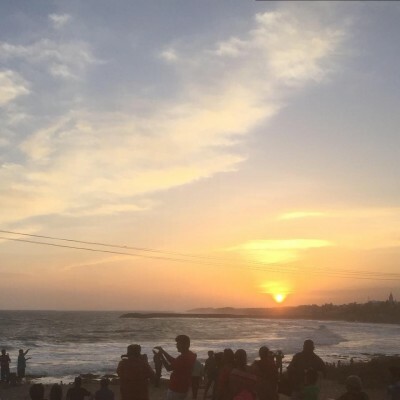 These trips involved sightseeing, guided tours, boat rides, elephant riding, relaxing on the beaches, watching the sun set, exploring the market stalls and eating the amazing traditional dishes from around the area. Overall, I gained everything I hoped to achieve by going to India. I gained hands on clinical experience in a developing country that I had never been to before, I saw conditions that would not normally see in the UK and learnt a lot by living in a different culture for a month and meeting so many new people. The doctors, nurses and other healthcare professionals, as well as all the organisers, housekeepers and other students made it an enjoyable experience that I would recommend to anyone hoping to do their elective in India. 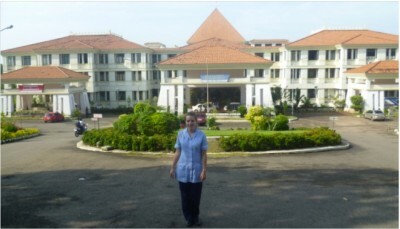 As a second year Children’s nursing student I undertook a four week nursing placement in India based at Sree Gokulam Nursing College, Kerala, organised through Global Medical Projects. For my Professional Development Experience (PDE) I wanted to have the opportunity to explore nursing in a developing country rich in culture and traditions. My aim was to gain an understanding of how acute and community care of children differs between India and the UK through observing and participating in care in different health settings. 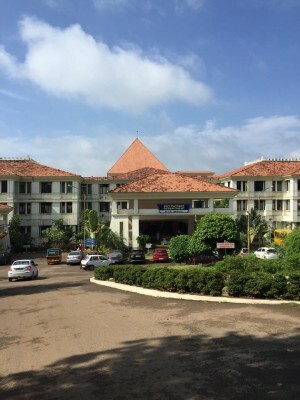 From the moment I arrived in India, all the staff and students at the Nursing College were very hospitable making me feel welcome and like one of their own students. Everyone was so friendly, happy to help, answer my numerous questions and organise a nursing placement specific to my interests and objectives. It was inspirational seeing how the professor at the college is trying to inspire passion into her students as she fights to make nursing more highly regarded, in India it is not seen as a profession. 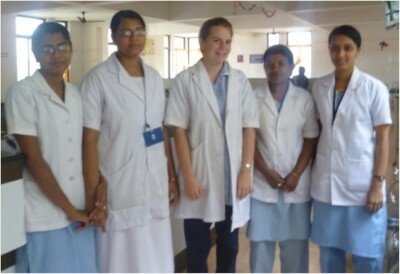 I spent two weeks in the community with the second year student Nurses from Sree Gokulam. Every morning we explored a different aspect of community nursing in Kerala and were able to experiences healthcare in the rural areas and how the way people live has a direct influence on health. Visits included; home visits, Anganwadis (Children’s Centres), administrative centers, women’s self help groups and rural hospital with immunisation clinic. It is fantastic to see the determination that these women have to increase people’s qualities of life..it could well be said that the women of Kerela will eliminate poverty in time. With India’s aim to become a developed country by 2020 the influence that these women have is inspirational. 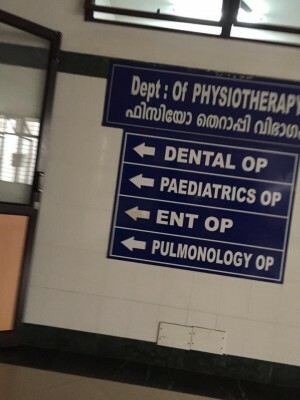 For my next two weeks I was based on the Paediatric ward at the Private Sree Gokulam hospital where I also got the opportunity to experience Paediatric out patients and neonatal intensive care. Although the principles were the same, intervention methods and ward routine differed. I was able to observe and participate in some basic nursing procedures becoming confident in the ward routine, admission/discharge process and help with drug and fluid administration. Kerala is the most developed state in India and therefore the hospital was very advanced compared to many in the country. Despite this and the hospital’s large elaborate outside appearance the wards were very plain and bleak with 30 beds all packed closely together, nowhere for the family to sit and no curtains for dignity. The children lay on the beds all day with no toys or distraction and were expected to ‘rest’ while their families brought in all of their meals wrapped in newspaper. The Nurses did little in the way of distraction during procedures and I found it hard not to say anything when I was told to help hold down a screaming twelve year old along with four other nurses while blood was being taken and her mother waited anxiously outside. Despite policy being evident this was not always implemented and infection control seemed very inconsistent with the Nurses never washing their hands unless visually dirty, no sign of gloves or aprons and open access to the diarrhoea ward. Medicines and IV’s were prepared at the Nurses station and the ward was hot and stuffy with frequent power cuts. The Nursing process and interventions were much the same as in the UK. With no NHS it was sad to hear the doctors telling you that they often could not prescribe the most appropriate medicines as the people could not afford them, delaying recovery times. In India Nurses train for four years to be general nurses of all branches, specialising at masters level. They are taught a range of modules including biochemistry, microbiology, physiology, nutrition, medical, surgical and community health nursing in the form of lessons with classes of seventy students. The students attend college Monday – Saturday 9am – 4pm with clinical/community postings in the morning and theory lessons/labs in the afternoon. The Nurses were extremely hard working and worked nine hour shifts with only four days off a month. The Nurses were very helpful and I interacted with them, exchanging nursing, cultural and personal experiences. Many of the Nurses questioned my choice for wanting to be a Nurse as Nursing had been their parents choice, one particular Nurse had desperately wanted to be a teacher. This really saddened me as there was no passion, although they said they had ‘adapted to Nursing and now enjoyed it’ and that it was a job with financial security. Through completing this experience it has not only aided my professional but also my personal development. I was able to improve my communication and listening skills through interacting with the nurses, doctors and students. The placement was fantastic providing me with many opportunities to engage in nursing interventions while comparing the differences in healthcare, nursing training, common illnesses and nursing practice between that of the UK and India. It also improved my confidence. I had to be open minded and flexible with my time, constantly pushing myself in order to gain the most out of the opportunities available. Through observing the effects of hospitalisation on patients and how care differed between the UK and India it really reinforced the importance of dignity, patient/nurse relationships and the use of distraction and play therapy. This experience has confirmed my enthusiasm and passion for nursing and once qualified I hope to return to Sree Gokulam along with many other countries to continue my professional development. By undertaking such a placement with Global Medical Projects I shared a home stay with other volunteers where our meals were provided. Babu Menon (in country director) was fantastic in meeting all of our needs/requests, insuring our safe travels to placement, being overall in charge of organising my placement and helping us to plan our weekends. Although you can organise your own placements direct with hospitals I would strongly recommend going through a company such as Global Medical Projects as this provides you with the security of a pre organised placement, food and accommodation. At weekends I was able to travel around Kerala with other volunteers. Weekend adventures included sightseeing, beach visits, elephant riding, exploring Trivandrum, temple visits, staying on a house boat and canoeing down the backwaters. I am forever grateful for the great hospitality that all the staff and students both in the Nursing College and hospital showed me during my placement. I would also like to extend my thanks to the School of Health Sciences, Southampton, Global Medical Projects and all my family and friends for the support and encouragement they provided making such an experience possible. 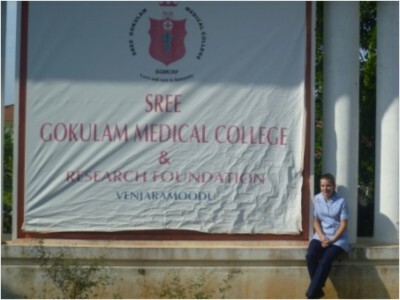 To follow in Sophie’s footsteps, find out more about our nursing projects in India.